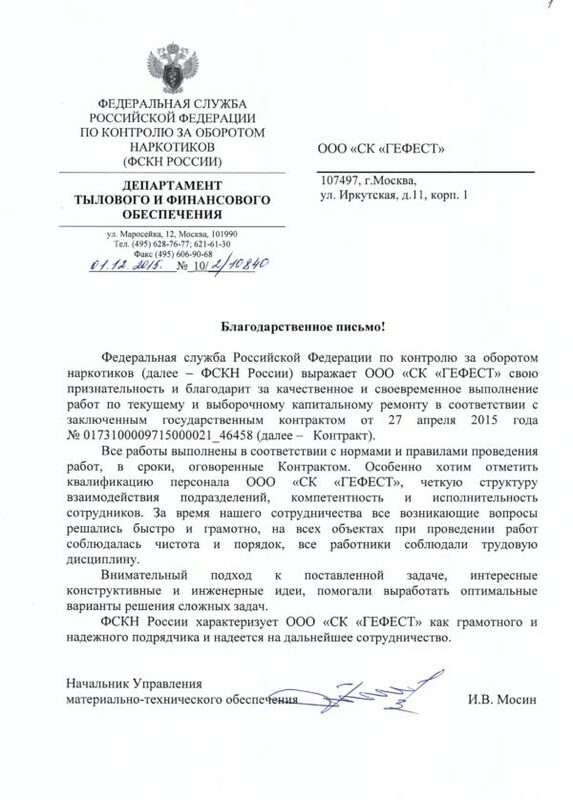 Federal Service Russian Federation on control over drug trafficking (FSKN Russia) expresses gratitude to Construction Company "GEFEST" for fruitful and mutually beneficial cooperation. 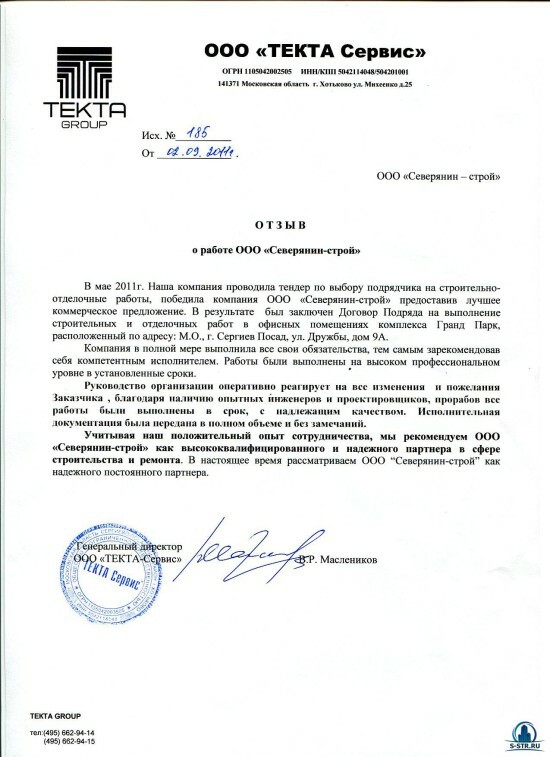 In accordance with the state contract, the Company "GEFEST" has performed complete construction works on capital repair of premises in the building of the Federal drug control service of Russia. All work is performed in a short time and with high quality. We hope for further cooperation and recommend the Company "GEFEST" as a reliable and professional partner.